☯ BattleBot V1 finished, closed beta will be started next week. ☯ TipBot for EUNE is up! ☯ Now when you send a tip to someone who hasn't added LeagueCoinTipBot in friend list, TipBot will send a friend request to that player. ☯ 100+ players are now using LeagueCoin TipBot V2, everything goes well so far. ☯ League of Legends TipBot V2 Beta for NA & EUW servers has started. ☯ PoW block reward halved. ☯ LeagueCoin TipBot V2 beta test starts on 9th June, 30+ players signed up. ☯ LeagueCoin TipBot V2 is finished way earlier than planned, that means we will skip V1 and test V2 directly next week. Also BattleBot Alpha is done coding as well, hopefully we can start beta test right after V2 released. ☯ LeagueCoin TipBot V1 is done and ready to beta test next week. We are currently working on TipBot V2 which could work without standalone program, therefore players could tip via ingame chat directly. ☯ LeagueCoin Tipbot v1 Beta Testing Announced! We are currently seeking 30 gamers to beta test our tipbot. NA and EU servers only, due on 11st June. The one aspect to League of Legends that is missing is a tip-bot. LeagueCoin will be the currency of this innovation. This platform will allow for League of Legends players to buy and sell in-game merchandise and digital products. This will essentially be an eBay specifically for LoL! 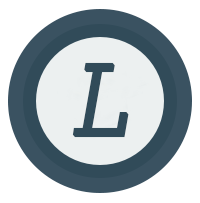 Everything from skins to strategy guides will be available for payment in LeagueCoin. The League of Legends Championship Series (http://na.lolesports.com) is a worldwide competition for League of Legends pro players. We are currently developing a platform that allows the 27 million daily players to bet on the outcome of this huge event. Users will also be able to watch live Champion Series games & chat with millions of people while betting on the team you back. Feel free to ask any questions via PM or Email (Lee@leaguecoin.co), and thanks for reading. LeagueCoin is the cryptocurrency of our tip-bot and digital marketplace along with other applications that we will be announcing and launching during June. We are not associated with League of Legends or Riot in any way and are instead building software applications to be complementary to the community. We seek to improve the community aspect of League of Legends while raising awareness about the possibilities that cryptocurrencies offer to online gaming. Open-source projects are the way of the future and it is fully within our rights to build applications to be used by this community. Nevertheless, in no way do we seek to violate copyright law and “pass off” our project as officially sanctioned by Riot. We are completely open to discussing our project with Riot since we are dedicated players and fans of League of Legends.